Tips for class-level and experienced dancers. Popular calls from Basic, Mainstream, and Plus. Learn in half the time it takes to learn Plus. If you are currently dancing at a club in this area, you already know all the GDP calls! If you already dance Plus, you already know all the calls of the GDP list! 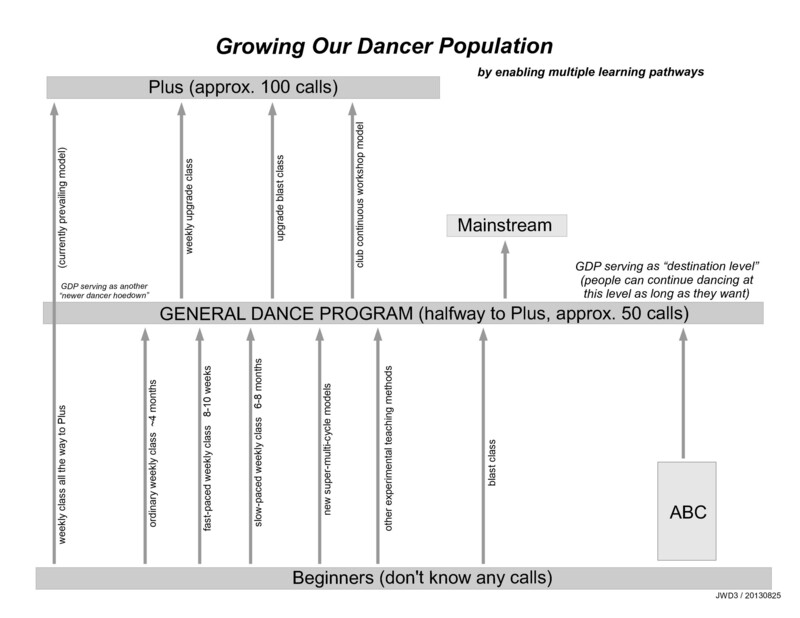 If you already dance Mainstream, you only need to learn these additional calls. New to square dancing? Sign up here so we can let you know when classes will be starting!